Did you know that celebrating New Years is good for your health? Its scientifically proven that the more New Years you get the longer you live. So lets soak up all the New Year we can, shall we. 2016 was a wild and crazy year, both within our own little Turbo Bocce world and in the greater world beyond, thus 2016 deserves to be recapped in a crazy way . . . perhaps by thinking up a bunch of random awards and then capriciously awarding them to whoever comes to mind first? Think of this as the ESPYS for bocce but instead of having to put up with LeBron James and Peyton Manning telling unfunny jokes you get to enjoy me telling unfunny jokes. So without further adieu, here are your Turbo Bocce 2016 end of year awards . . . Lets start with a good one, shall we. The shot of the year! This year I focused more on shooting video and showing highlights than taking still pictures. I made this change because highlights are more fun to watch, more exciting, and (lets face it) because my still pictures always turn out terrible. So I went back and looked through all the highlights we had this year and chose the most impressive. And the award for shot of the year goes to . 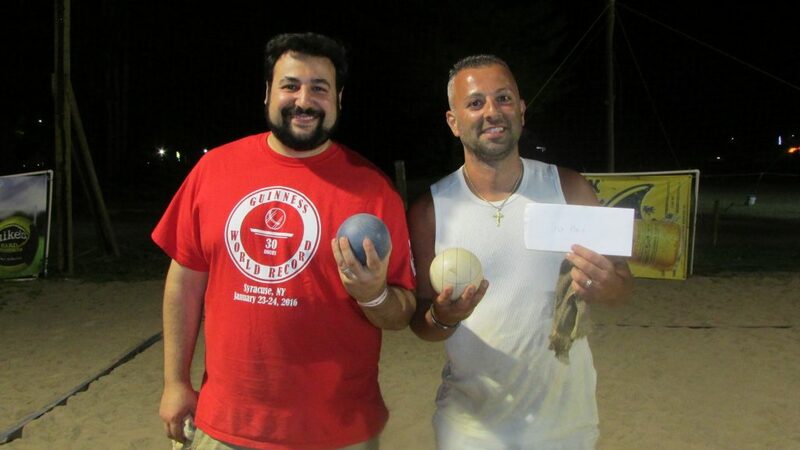 . .
Jon Szewczyk, We’re Gonna Bocce Your Mom, Tuesday League, for shooting an ace with a scorekeeper obstacle. Mark Streif, for moving the pallino just enough to earn a bocce (all while shooting off a picnic table) at our blind draw sand tournament. Bryan Mullane, Los Moppines, Tuesday League, for putting enough spin on his shot to wind his bocce ball around four blockers in a pre-season game. Mike Aylesworth, for bocce-ing his way to the championship game of the 1 on 1 tournament in impressive fashion. Wasn’t that exciting!!! You know something is exciting when you see three exclamation points! That last sentence was not as exciting as the first so it only got one exclamation point. Anyway lets move onto our next exciting award . . . the award for best bocce game of the year!!! And the award for best bocce game of the year goes to . . .
Jen Powell and Paige Hoffman, We Came in Like a Bocce Ball! Week 8, Game 3, Wednesday League. They earned this award by winning a game 14-0 (the largest possible score you can win by). We call this a Buzz Saw, and there have only been 7 in the eleven year history of Turbo Bocce, FYI Jen and Paige did it as rookies!!! Our next award will be given to the best innovation in the sport of bocce for 2016. Lets face it Turbo Bocce has always been about innovation. Turbo Bocce itself is an innovation. 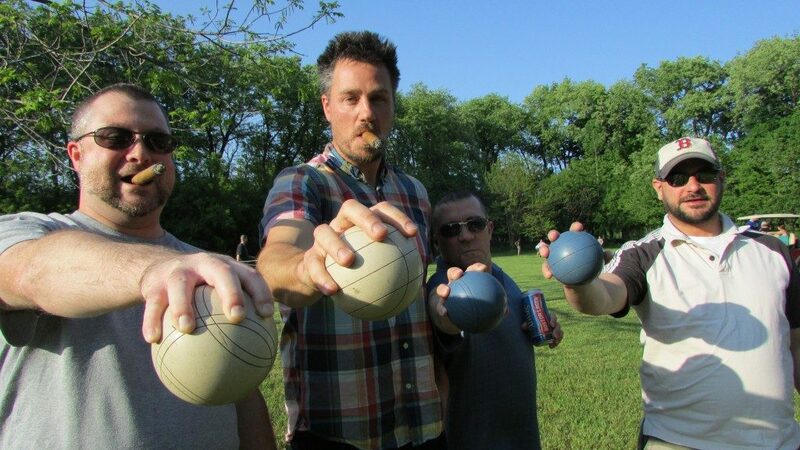 So what did we do this year to make bocce more awesome? The award goes to . . . The Blind Draw tournament! This new invention for 2016 is any tournament where you play with a different partner every round and that partner is randomly chosen for you. 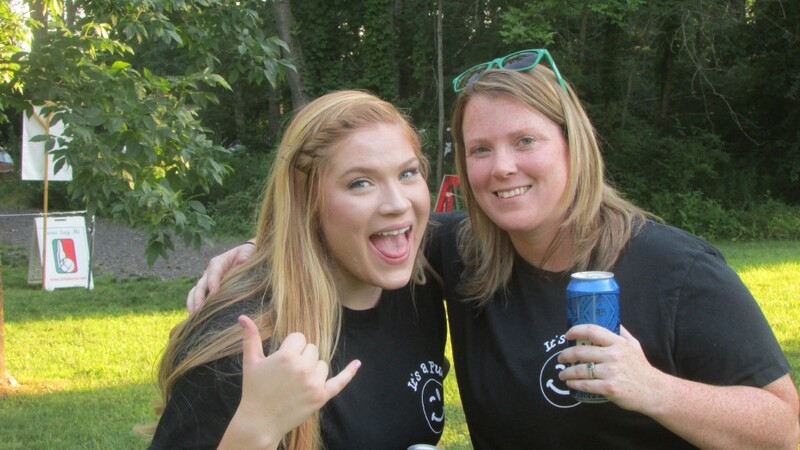 We did two blind draw tournaments this year, one sand tournament at Sharkey’s and one October tournament on Tipp Hill, and both were tons of fun, giving participants a chance to play with people they might not usually get a chance to partner up with. Honorable mention goes to Turbo Bocce Fantasy Football. 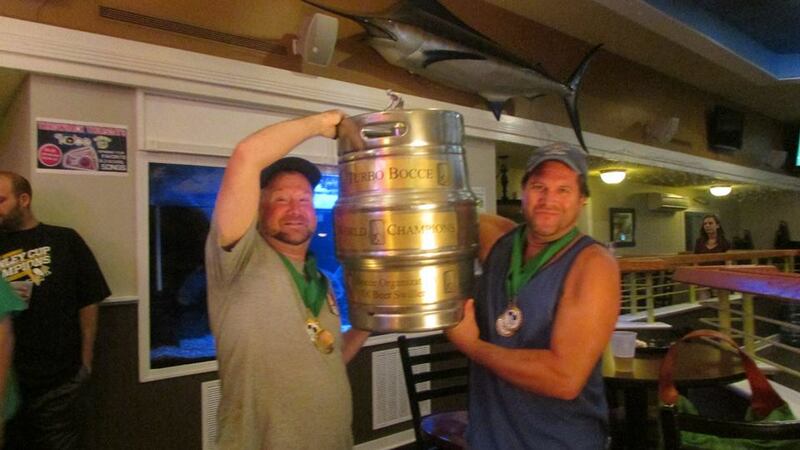 Did you know that fantasy football season starts at right about the same time that Turbo Bocce season ends? It does, so its only natural that bocce players who want to keep the fun going would join a Turbo Bocce fantasy football league. Here’s how we did it. Everybody who joined the league played in a quick single elimination bocce tournament where the games only went up to 6. The first place player in the tournament got his or her first choice in the fantasy draft, second place got the second choice and so on. It was a lot of fun, and a great way to keep in touch and do a little smack talking over the winter. Those innovations will keep us having tons of fun for years to come, but what will entertain us right now? 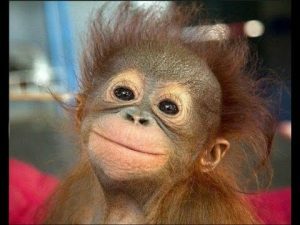 Our next award goes to the Monkey of the year! Honorable mention goes to . . .
Don’t think about why we gave out that last award . . . just enjoy it! 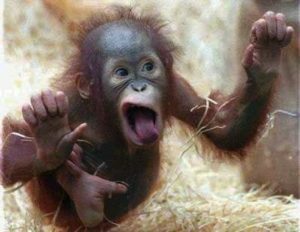 Its going to be hard to top that monkey, but I’ll give it a try. How about the picture of the year! I know what you’re thinking; I just said that all my pictures turn out terrible. Well its true, they do. But lets find out which one is the least terrible. And the winner for best (least terrible) pic of the year is . . . The Dog Brothers playing a final 4 game with a large crowd watching while the sun sets. Honorable mention goes to Black Jesus and We’re Gonna Bocce Your Mom goofing around (and looking tough) week 1. I’ve heard more than one person mention that 2016 reminds them of the opening chapter of the Hunger Games books. I’m pretty sure they mean that in a negative way, but I say a version of the hunger games that includes bocce sounds awesome. Our next award goes to the smartest bocce player of the year! And the award for smartest bocce player goes to . 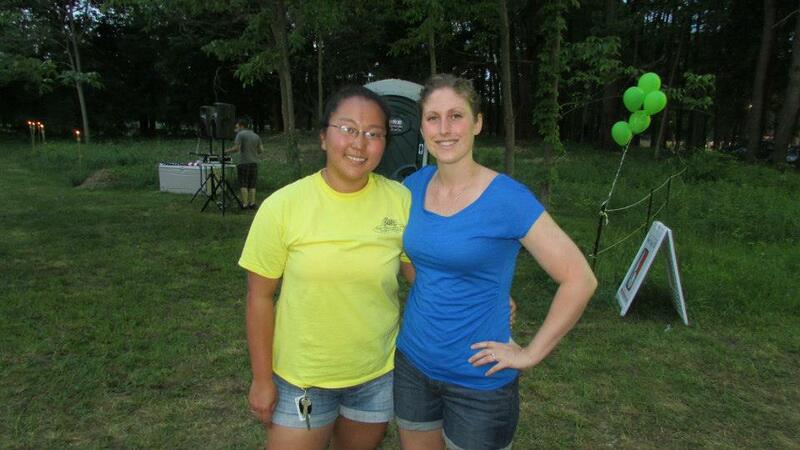 . .
Kate Mead, for winning the first annual Turbo Bocce fantasy football league, with her team Turn Down for Watt. Honorable Mention for smartest bocce player goes to Andy Ingalls for coming in second in our fantasy football league with his team All About the Benjamin’s. In honor of Kate Mead and Andy Ingalls brilliance, here’s a joke that only smart people will appreciate “Schrodinger’s cat walks into a bar. And doesn’t.” Google “Schrodinger’s Cat” if you need to, then seek me out during the bocce season for a drunkin physics discussion (one of my favorite things). Our next award goes to the Ferris Bueller of the year. 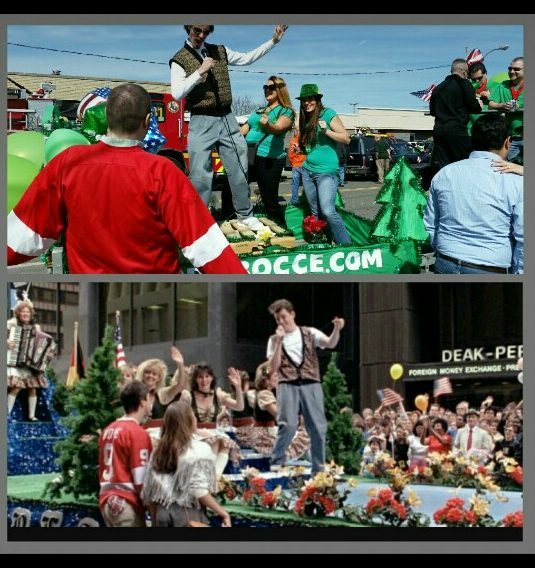 Adam Wozniack for his near perfect portrayal of Ferris Bueller, during Turbo Bocce’s recreation of the parade scene from Ferris Bueller’s Day Off at the Syracuse St. Patrick’s Day parade. 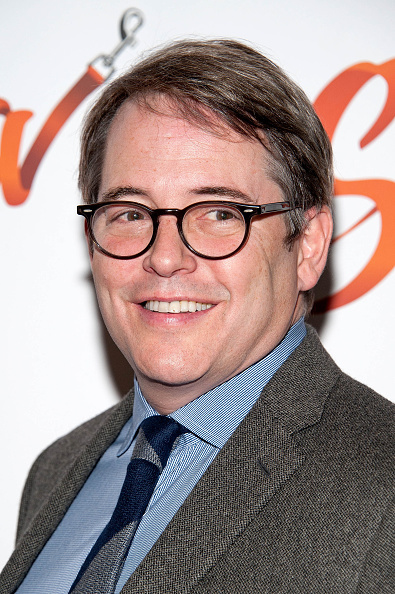 Honorable Mention goes to Matthew Broderick, whose portrayal of Ferris Bueller gets less believable with each passing year. Life in 2016 moves pretty fast, if you don’t stop and look around once in a while, you could miss it. That’s the point of this award ceremony after all. One of the ways to appreciate 2016 is to never sleep, so in the spirit of not sleeping here is the award for Guinness World Record Holders of the Year! Its a tie! Monica Angelosanto, Kate Mead, Allison Bodine, Mike Aylesworth, Phil Martino, Greg Griffo, Jim Whipple and Paul Colabufo all win for collectively breaking the world record for longest consecutive bocce ball game. It lasted 30 hours and 30 minutes shattering the old record of 24 hours and 30 minutes. 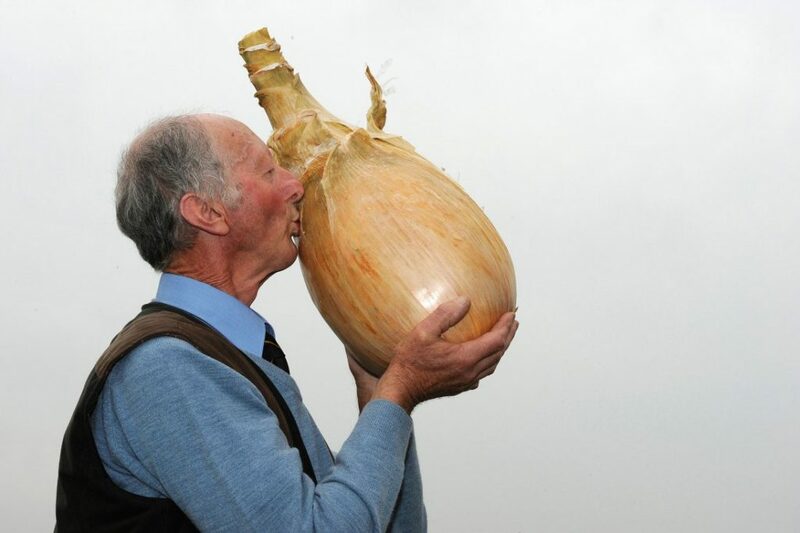 Honorable mention goes to this random guy who set a world record for growing a 17 pound onion. It must have taken a lot of sunshine to grow an onion that big. It also takes a lot of sunshine to play bocce. Did you know that we had zero days of rain during bocce this year? That includes both leagues, preseason, and playoffs. Someone deserves some credit for this, so we are giving out the summer sun of the year award! 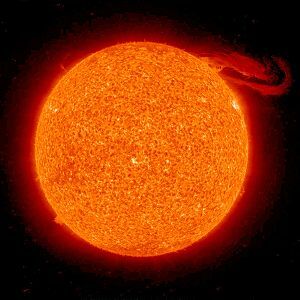 Sol! For giving us 99.999% of our 2016 summer sunlight. Honorable mention goes to Ursa Major for giving us a little bit of sunlight but not enough to be noticed. Better step up your game Ursa Major . . . actually don’t, we’re already suffering from global warming. At this point in a typical award show they would pause and take a moment to honor those we have lost over the year. I’ll do the same. 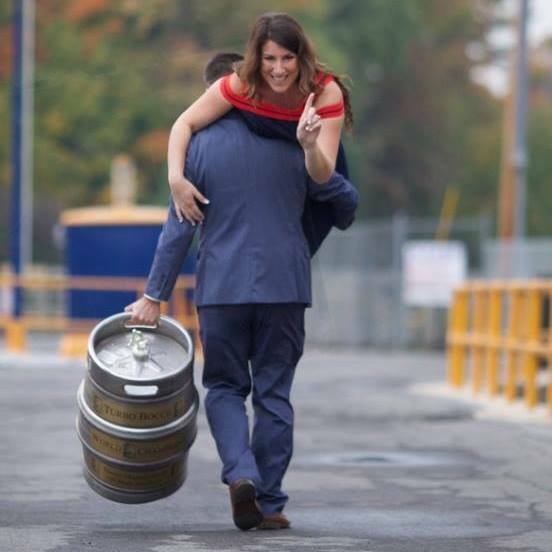 People (and beer) come and go, shining brightly on this earth and extinguishing quickly. Its important is to keep their memory alive in our hearts. Personally, I’ll always remember the black outs. Thank you beer! Our next award goes to the Tournament of the Year! Lots of choices here, obviously the triple crown tournaments (the Turbo Bocce Championship, the one on one tournament, and the Italian Fest) are all serious contenders. 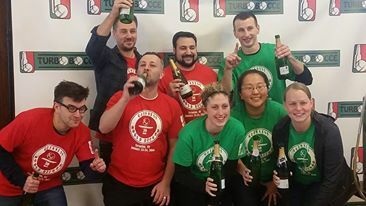 As mentioned above we also had two great blind draw tournaments, and Turbo Bocce was even a featured event at the first ever Syracuse Olympics. The award goes to . . . The 4th of July blind draw sand tournament! It was $20 all you can drink, and everybody was having a good time, so we made this tournament an unprecedented TRIPLE elimination tournament, stretching the fun (and drinking) from Noon to Midnight. That was a lot of bocce! Greg Griffo emerged as the winner. Honorable mention goes to the 1 on 1 tournament, which had a great turnout and some really fierce competition. Only the stifling 95 degree heat kept this tournament from winning the award. As is customary for award ceremonies, this one is rambling on far too long. Its time to get serious, hand out the three biggest awards, and officially close the curtain on 2016!!! I’m both nervous and excited! Lets start with the League of the year award! We’ve got two great bocce leagues going now. The Tuesday league which is established, has been going for eleven years, and has fostered plenty of rivalries, and the Wednesday league which is brand new, only in its second year, but which doubled in size and more than doubled in competitiveness. The Wednesday League! 38 more people played Turbo Bocce this year than last year. The Tuesday league grew by 2 people, and the Wednesday league grew by 36 people (basically doubling in size!). But the Wednesday league wasn’t just bigger, the level of play also dramatically improved. 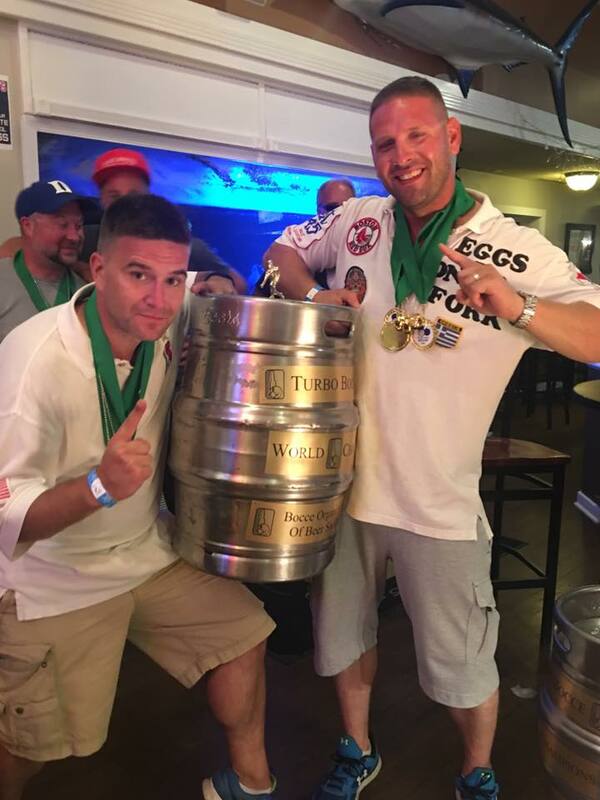 Even though Balls of Fury won the championship both years, they had a much more difficult run of things in 2016. Last year Balls of Fury went 29-1, this year they went 23-7. A clear indication of the rising quality of the league. Honorable mention goes to the Tuesday League for continuing to set the standard for bocce greatness. How’s this for a big award . . . the 2016 Turbo Bocce Team of the year!!! The Dog Brothers!!! After winning the regular season, people said they were overrated. People even went so far as to complain about our BCS system, saying the formula did not accurately identify the best team. Then the playoffs came around and the Dog Brothers silenced all the complaints and proved that our BCS formula (your winning percentage doubled plus your opponents winning percentage) gets it exactly right. They did this by winning the championship without losing a single game. You read that right. They swept every series in the playoffs to go along with winning every series in the regular season. That’s a hell of a season! Honorable mention goes to Balls of Fury. 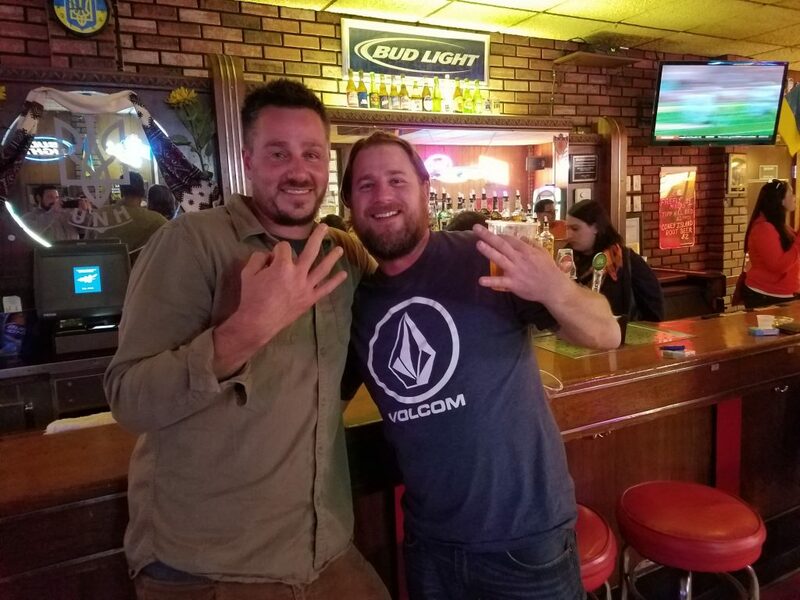 Our Wednesday League champs capped a strong second place regular season finish by winning back to back titles, something only one other team has ever done. Next year they try to become the first team ever to 3-peat. Are you ready for our final award of the year? Can you stand the pressure? Is the drama overwhelming? Anybody? No? Just me? Our final award goes to the Turbo Bocce Player of the Year! 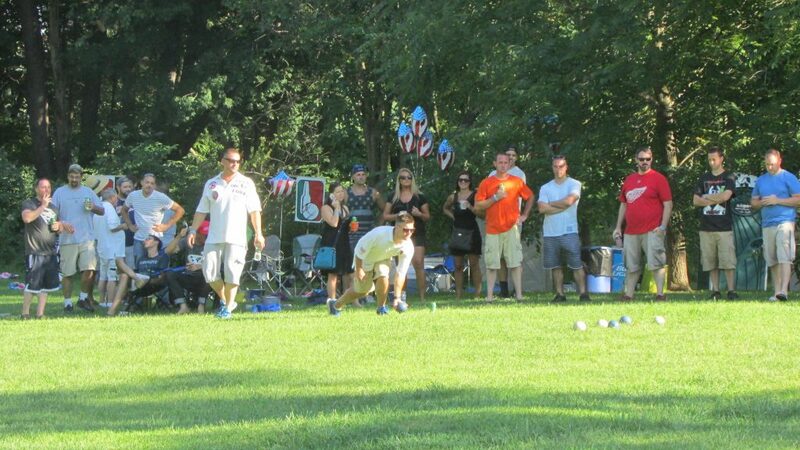 Who was the best bocce player in the world this year? Lets find out! Note: this is not my picture, the fact that its not terrible is a dead giveaway. Phil Martino! This year more people played bocce than ever before, and the quality of play was higher than ever before, but even so there were really only two serious candidates for player of the year. On top of leading the above mentioned Dog Brothers to a historically good season, Phil also won the 1 on 1 tournament, and in the end all that winning can’t be ignored. Phil is your player of the year, and I don’t think anybody can argue that Mr. Martino had anything less than a great year. Honorable mention goes to Greg Griffo. Under normal circumstances, leading the Tuesday League in scoring and coming in second in the Wednesday League in scoring would guarantee you player of the year, but this year has been anything but normal. Still Greg stood out from the pack in a big way and deserves recognition. That’s it folks. Those are your 2016 Turbo Bocce Award Winners! If you failed to win an award this year . . . better luck next year. To our winners . . . your prize is nothing. Absolutely nothing. Drive safely and I’ll see you for an even crazier year in 2017.